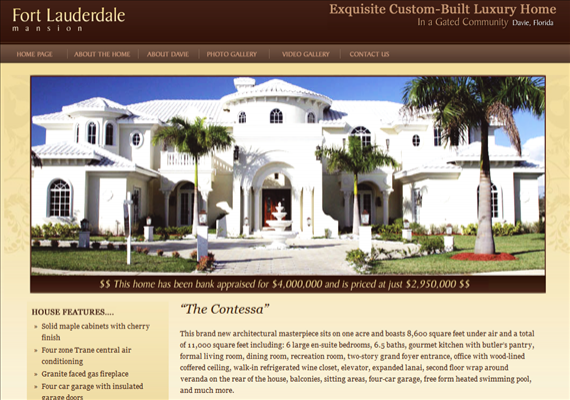 We were granted the unique privilege of designing a site to help sell/rent a $4 million mansion located in Fort Lauderdale, Florida. Our goal was to inform visitors of the house and surrounding area. The work on the website resulted in the homeowner renting out the mansion at a rate of $15,000/month.